Hey everyone! 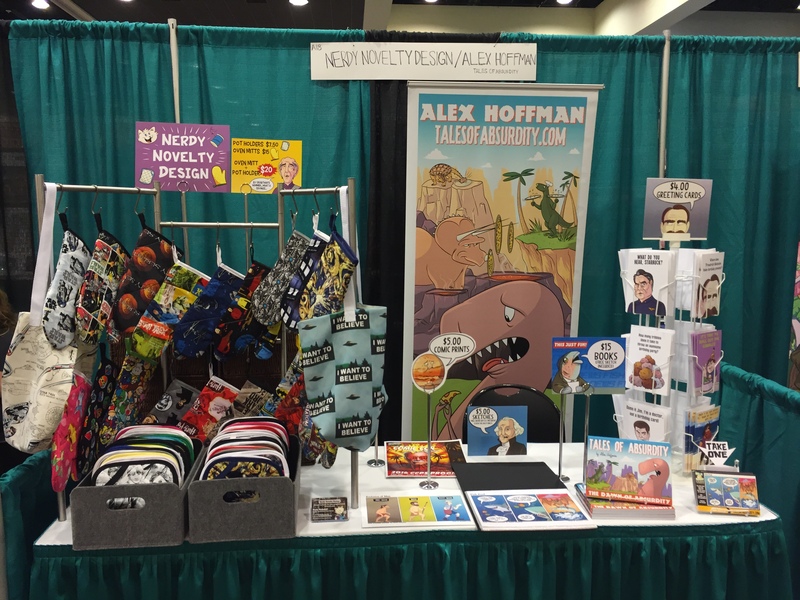 I’m exhibiting at Comic Con Palm Springs with my wife who’s exhibiting under Nerdy Novelty Design! If you’re stranded in the desert come say hi! We’re at table #A18. I’ll be selling my new book Tales of Absurdity: The Dawn of Absurdity, along with greeting cards, prints and presidential sketches!